Now your pet can go when they need to!!! Hate Rushing Home Just to Find a Mess? Whether you live in a high rise building, have to deal with the raining or winter weather or just can't get home on time. 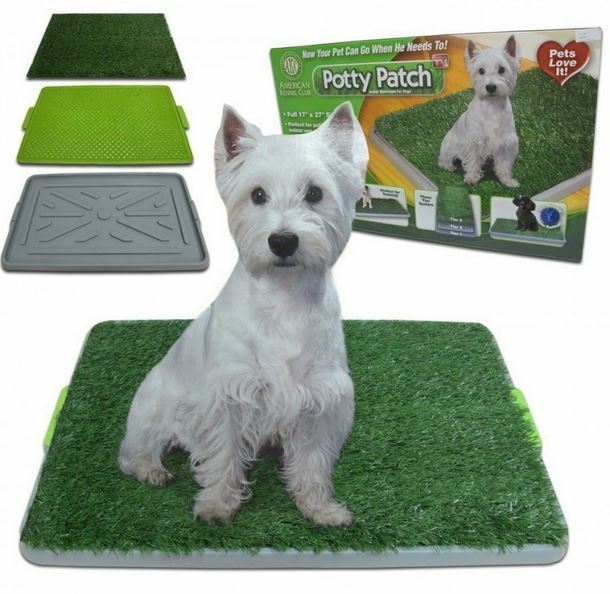 The solution is the Potty Patch! Regular is 17" x 27"
Large is 27" x 34"